Balancing On My Toes: Rainbow Race 10K! Well my 10K didn't go exactly as planned, friends. I ended up running 5.6 miles of it, skipping a small portion of it and choosing to walk a bit because I was not having it. 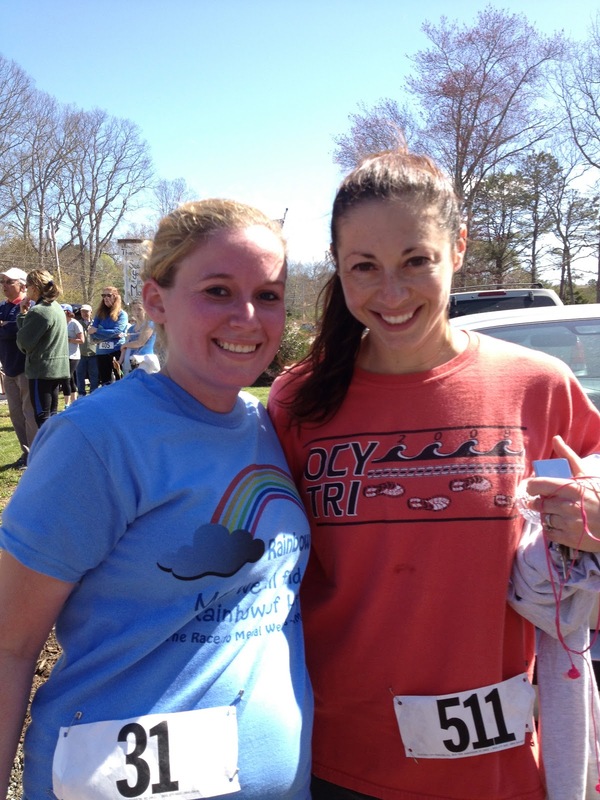 My running friend, Kaitlin was a great sport and stuck with me through the entire race- I could not be more appreciative of her for helping me out and getting me to the finish line. I would have loved to run the entire 6.2 miles but I am still in so much pain so I'm glad I didn't. I think there are a few reasons I had such a problem with this race, first off- my training was awful- I was such a slacker! Second, when I actually did train I only ran on the treadmill, not outside and I trained late at night. Not being used to running in the morning definitely hurt me this time around. I wish I had been able to do the entire race and I am awful disappointed in myself but hopefully I'll be able to do another one in the future. I need to find a workout schedule that works for me- perhaps running long distances is not the cards for me.